Cynthia Jones, who earned a master’s degree from Wright State, will donate her home to the university to fund a scholarship for students with financial need who are either African American or have a disability. Education has always mattered to Cynthia Jones. 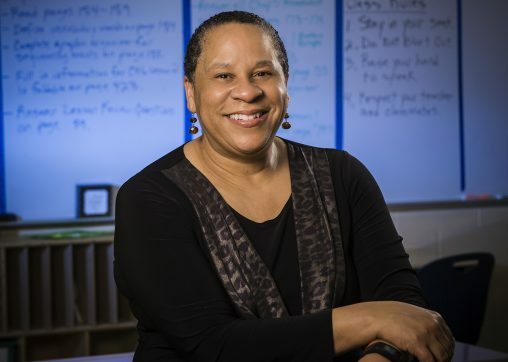 Even though neither of her parents graduated from high school, they both instilled in Jones and her eight siblings the importance of education. It is a lesson that she has passed along to her five children, her six grandchildren and her students at Kemp Elementary School in Dayton. Jones will help educate future Wright State University students through a bequest in her estate. The Wright State University Foundation will receive Jones’s home upon her death, which will fund a scholarship for students with financial need who are either African American or have a disability. Jones’s scholarship will also honor the memory of her mother and grandmother. The scholarship is also a way to give back to the university that helped Jones when she was a student. After serving 14 years of active duty in the United States Air Force, Jones came to Wright State as a divorced, single mother to earn her master’s degree in teacher education and become a teacher. As she was working on her degree, one of Jones’s professors recommended her for a scholarship. Transferring her home to Wright State in her will gives Jones the opportunity to make a significant impact without making a large gift of cash. And the legacy of three strong women — Jones, her mother and her grandmother — will be remembered by future generations of Wright State students.